There was a time not very long ago that property owners were extremely wary of renting space to any type of marijuana business, for fear of running afoul of the federal government. Specifically, 18 U.S. Code Section 981 details the government’s authority to assert civil asset forfeiture. The law was drafted to allow the government to seize the massive assets acquired by drug kingpins. However, it was rarely used until marijuana became legal as medicine in California. At that point, federal prosecutors began going after property owners who allowed their site to be used by any marijuana operation – even if it complied with state law – because marijuana was (and still is) unlawful per federal statutes. Today, it’s a much different legal landscape. Technically, prosecutors still have the authority to assert civil forfeiture, but the U.S. Justice Department under the previous presidential administration altered its policy in 2013, with a memo indicating that so long as operations were compliant with state laws, the federal government wouldn’t pursue them unless it had some special reason to do so (i.e., distribution of marijuana to minors, preventing sales revenue from being funneled to criminal enterprises and cartels and preventing dissemination of the drug to states where it isn’t legal). This has motivated a growing number of real estate investors to dip their toes into the waters. 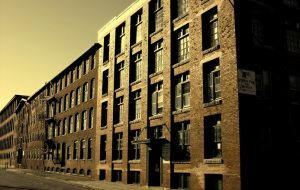 The Portland Press-Herald in Maine recently reported real estate brokers are encountering increasing demand for industrial spaces that could be converted to indoor marijuana farms. News of this comes as Maine is on the verge of being yet another state to approve of recreational marijuana. California is in that same boat. Recreational marijuana will become legal to use and possess there as of January 30th, but property owners and investors are working fast to find warehouse spacing that would be appropriate for commercial growing. This has resulted in a doubling of lease rates on these spaces in Portland compared to what they were just a handful of years ago. Still, our marijuana business lawyers know there remains some uncertainty about the process and the legal hurdles that will need to be cleared, particularly amid uncertainty with this new administration. After all, the memo issued under President Barack Obama doesn’t have any lasting legal authority. It will be up to the new administration to decide which tack they will take. However, that so far hasn’t stunted the demand for marijuana real estate. In some Western states with access to legal marijuana, those in the business are vying for limited industrial space and in some cases paying three times the average for rent to grow the crop. In Maine, as in California, the growth of their respective medical marijuana programs in recent years has set the stage for the recreational market, in which industrial space owners have pushed for historically low rates of vacancy. They were anticipating the market would soon be demanding this type of space. Now, even though actual distribution of recreational marijuana may be a year away, the demand to get in early on these properties is high. Property owners and investors stand to make a substantial profit, but they should also consider consulting with an experienced marijuana lawyer to ensure all their legal bases are covered.